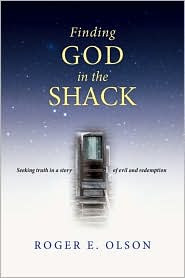 My copy of Roger Olson's book on The Shack just came in and I plan on reading it sometime this weekend. Many of my friends have read The Shack so I read it. I even saw a tough looking Sheriff's deputy reading it in the court house yesterday. The book is viral. I had Roger Olson at Truett and I appreciate his love for God and the church. I'm looking forward to his take on things.